Create a magical world with leaping frogs, twirling castles, intricate treasure chests and a beautiful, balancing tree. 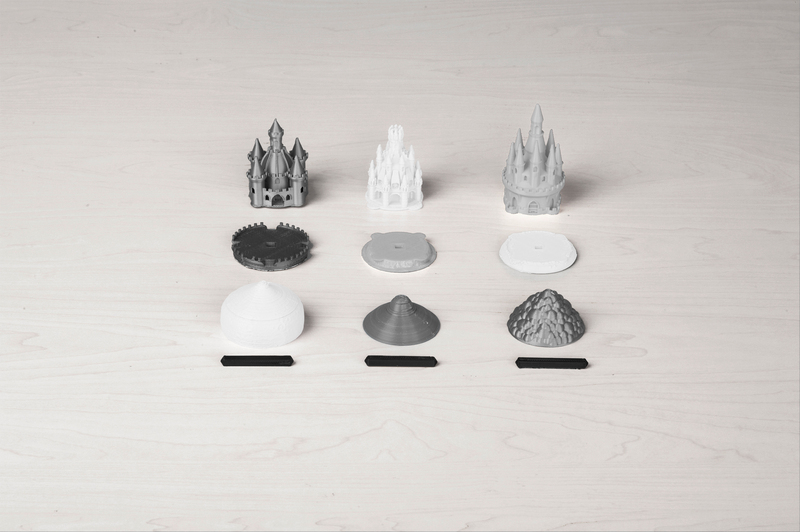 3D printable tabletop games designed for kids to print on the Cube and CubePro! 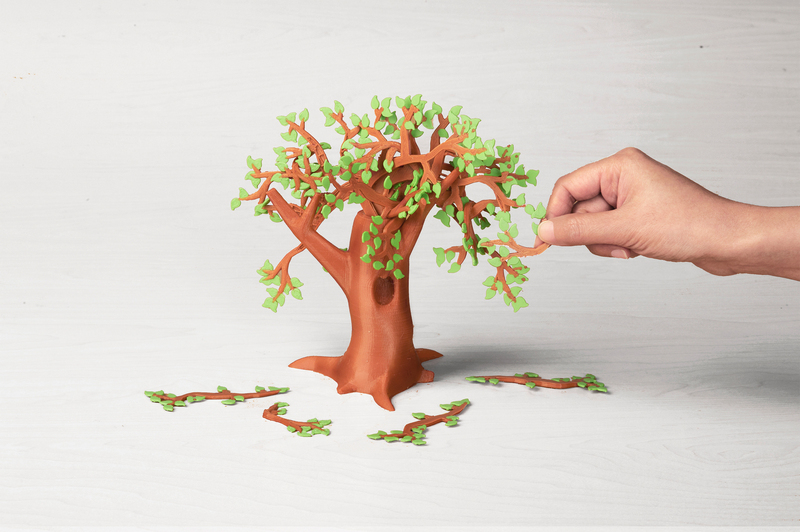 These magical toys are inspired by the things kids love. Grow confidence and curiosity, teach strategy, and foster fine motor skills, together around the table. Create a magical world with leaping frogs, twirling castles, intricate treasure chests and a beautiful, balancing tree— and practice all the skills games are so good at teaching. 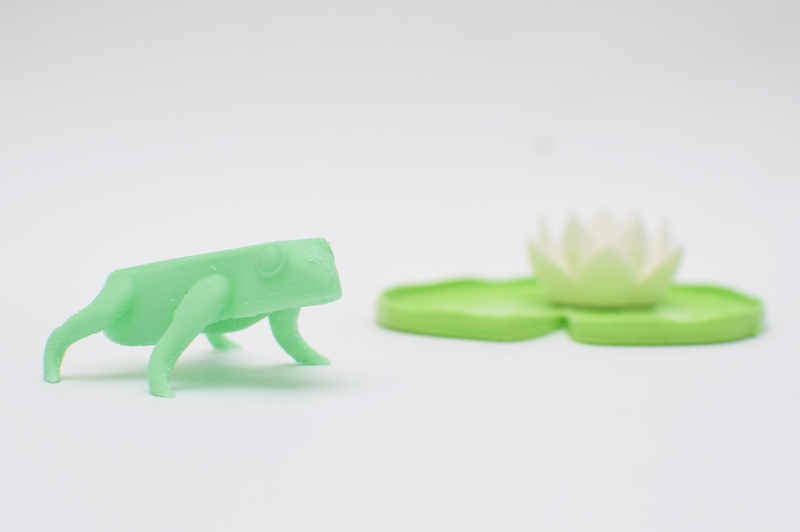 What kid can resist cute little jumping frogs? With so many creative ways to play, this simple toy contains hours of giggles and grins.Press the frogs and make them leap, competing for distance, speed and height. Make an obstacle course, or aim for the lily pad and test your accuracy. 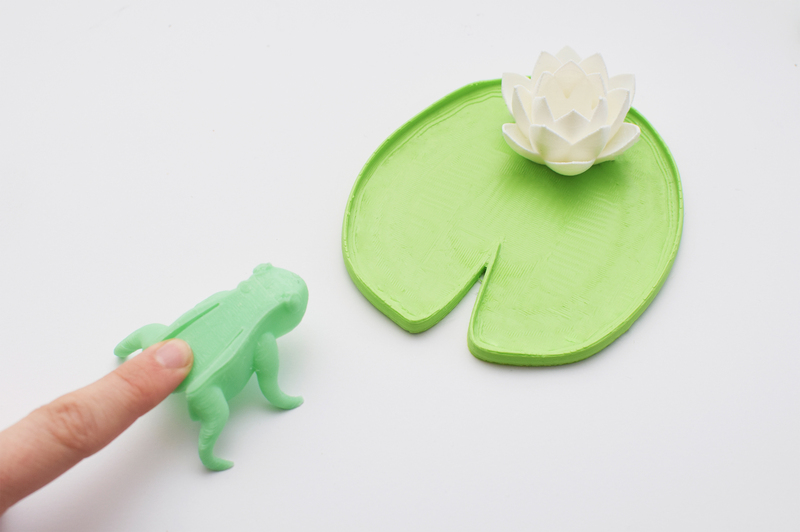 The lily pad can be printed in one or two colors. Frogs are 6 to a printplate. Designed to delight. The enduring appeal of a pirate’s treasure chest—with a unique “spin” on classic Tic Tac Toe. Rotating game pieces reveal x’s (crossbones) and o’s (jeweled rings). The first player to line up 3 in a row gets to keep a coin. When all the coins are claimed, the one with the most booty wins! 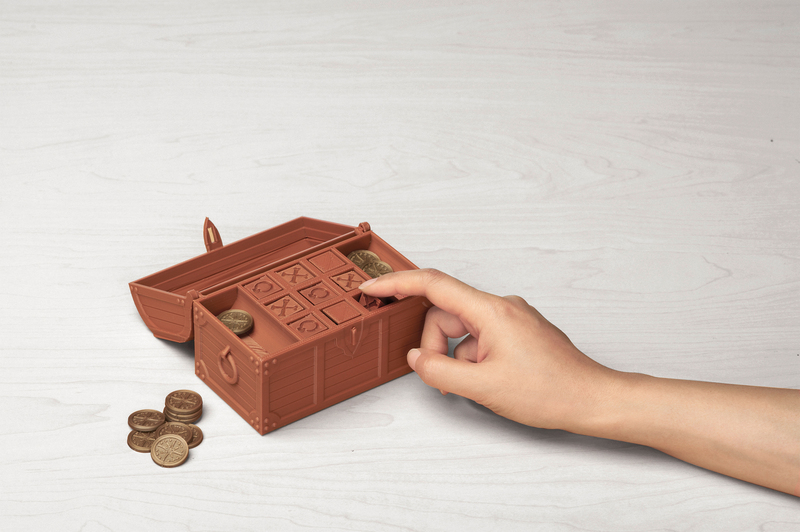 Little fingers will love exploring this treasure chest, with its moving parts and intriguing details. 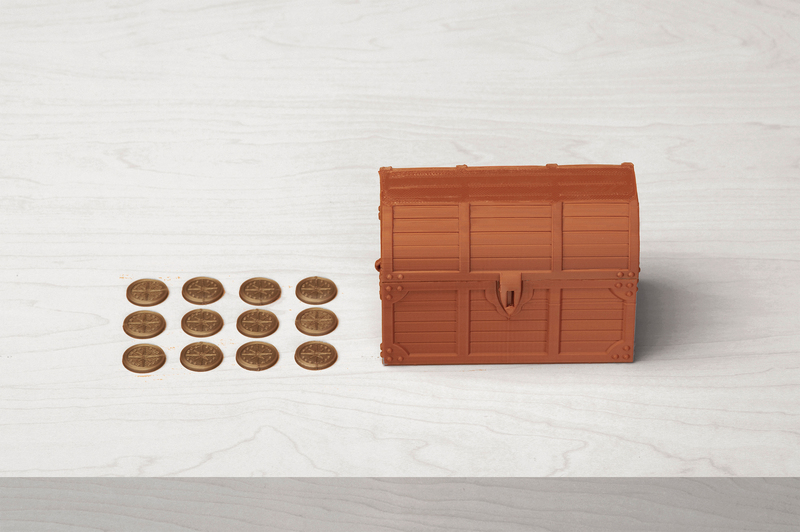 3D print the game and coins on two to three printplates, then simply open the treasure box and play! A simple game with a charming design. Balancing Twigs teaches physics, perseverance and playful competition. 3D print trunk and twigs on two or three printplates, then get stacking. 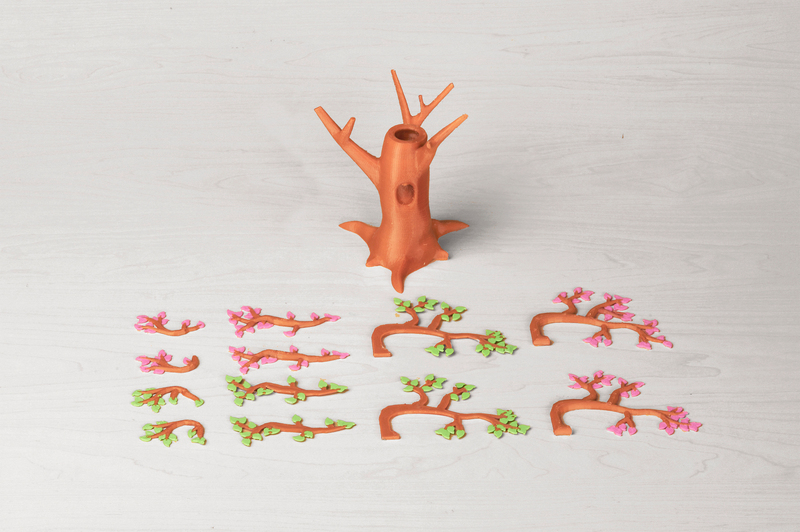 Players can take turns balancing their branches on the tree until it topples. Or you can play against an hourglass, trying to get all the branches balanced before the time runs out. Express your creativity with color combinations from nature—or your wildest imagination. Pure, childlike joy. What kid (or adult for that matter) doesn’t like the way a simple spinning object can stop time and put you in the moment. To “top” that, we’ve upped the ante with an intricate, magical castle motif. 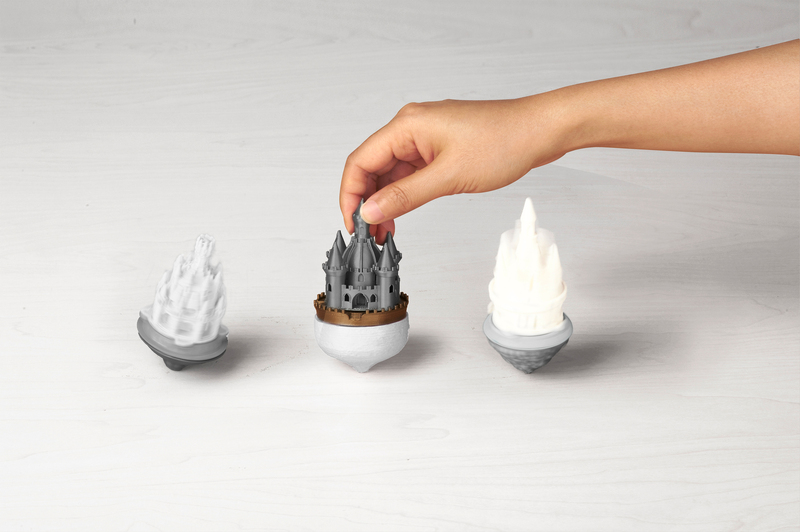 With three different medieval and Victorian castles and bottoms, plus clashing rings and spinner sticks, you can mix and match the pieces to best bump your opponent off the throne! The total game 3D prints on 3 printplates.